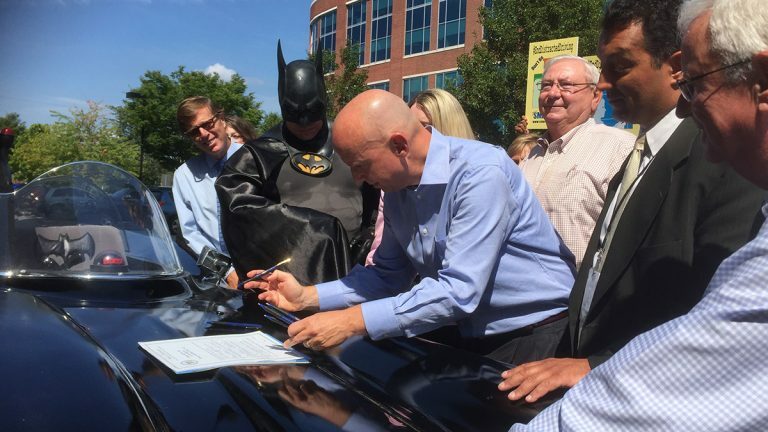 Delaware Governor Jack Markell hitched a ride with Batman in his Batmobile on Wednesday, before signing legislation aimed at getting drivers to pay more attention to the road, not their phones. 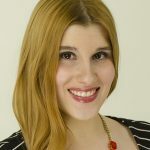 The legislation, introduced by Rep. Deborah Hudson, R-Fairthorne, doubles the fines for distracted driving in Delaware. An actor in a Batman suit was on hand for the bill signing in an effort to reach younger drivers. House Bill 302 increases a first offense from $50 to $100 and subsequent penalties up to anywhere between $200 and $300. The bill also increases the portion of the assessed fine supporting the Volunteer Ambulance Company Fund. “This bill is really important because there’s an epidemic of people driving and texting and having cell phones active in the car, and it’s causing accidents and deaths, so we need every citizen to take a look at this and think about, are they risking their lives and others,” Hudson said. Teens from several high schools attended the event in support of the legislation. Harold Lewis, a senior from William Penn High School, said it’s important to educate young people about the dangers of texting and driving. Since 2014, Delaware State Police have issued an average of more than 12,000 citations a year to drivers using cell phones and other devices. The Delaware Office of Highway Safety also reported that there were 150 crashes due to cell phone distractions last year. Between January and May of this year, there were 68 crashes. AAA reported unsafe mental distractions can persist for as long as 27 seconds after dialing, changing music or sending a text. The report also stated 87 percent of drivers admitted to risky behaviors at the wheel; two in three drivers admitted talking on a cell phone while driving; two in five said they have read a text or email while driving; and one in three said they have typed or sent a text or email.